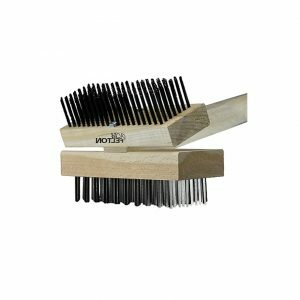 Felton’s safe grill cleaning brush is designed with a curved handle which allows for greater maneuverability when cleaning ovens and grills. Coarse flat steel wires provide a chisel action to remove burnt-on carbon. 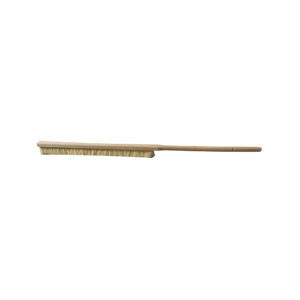 Bristles are thick and durable and will not break off with vigorous cleaning. 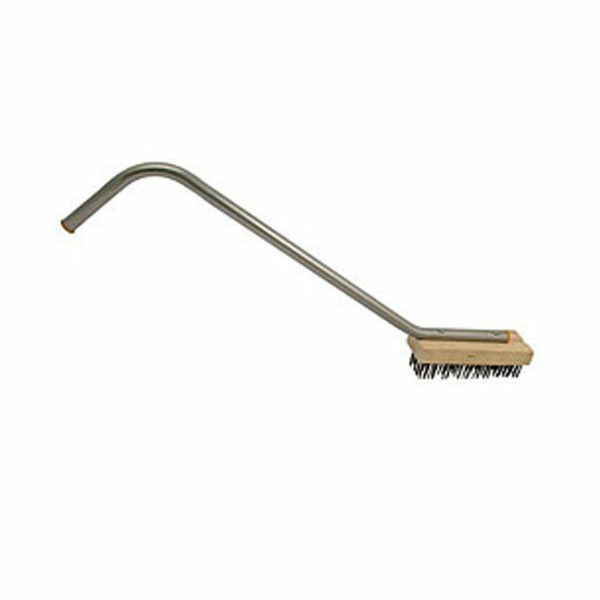 Large, ergonomic steel handle makes it easy to reach deep into the back of ovens and far across any large grill. Offered in both flat wire and the less aggressive round carbon steel wires. 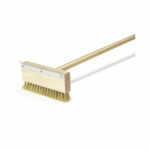 Popular brush among grill users and cleaners. 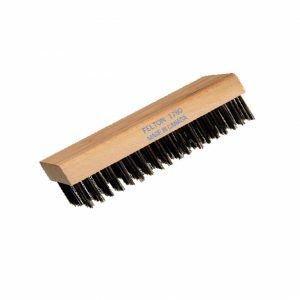 Felton’s Long-handled Curved Safe Grill Cleaning Brush Large is designed with an ergonomic steel handle which makes it easy to reach deep into the back of ovens and far across any large grill. Offered in both flat wire and the less aggressive round carbon steel wires. Curved Handle Broiler Brush features a Canadian hardwood head with coarse flat steel wires for vigorous cleaning and long life with no wire breakage. The curved handle allows the user to apply greater pressure and chisel away burnt-on food. Ideal for broiler grills and grooved griddle surfaces. 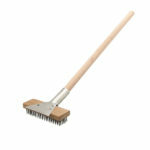 Made in Canada with North American flat steel wires and a stainless steel curved handle.